The LHS heater family covers an impressive power range from 550W to 32kW. The ranges diversity makes it ideal for practically all hot-air applications. Manufactured using state-of-the-art technology, the LHS range offers three model types; CLASSIC, PREMIUM and SYSTEM. High temperature heaters are suitable for temperatures up to 900ºC. 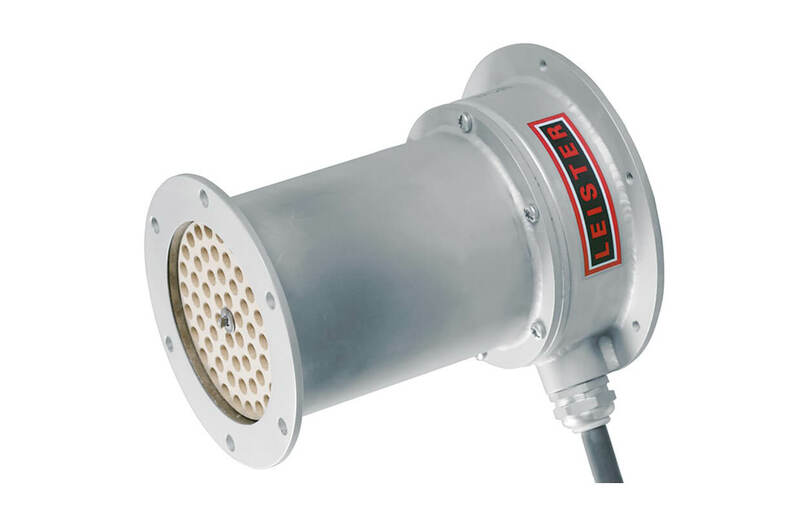 These heaters have no integrated power electronics, however the air temperature can be steplessly controlled by adding a Leister 3-phase controller (DSE). In addition to a DSE, the aire temperature can be precisely regulated with a Leister KSR Digital controller. 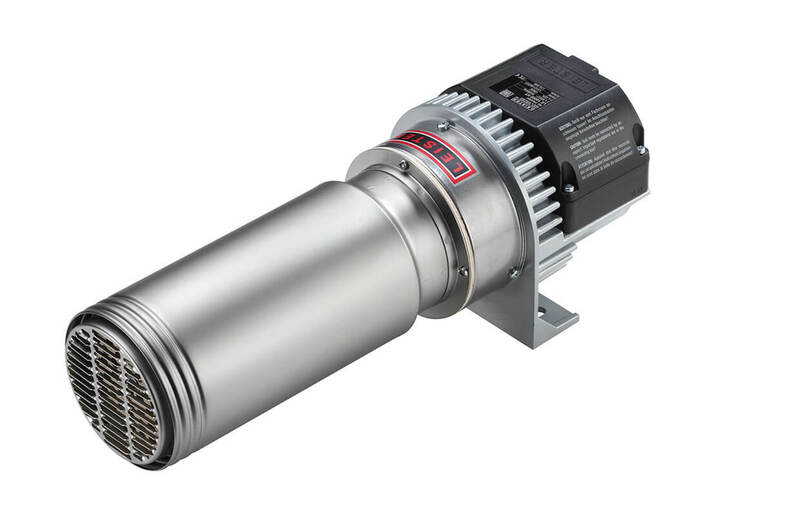 The latest generation of double flange air heaters now includes specially designed heaters that can be used in hot-air recirculation mode, as well as clean-air models suitable for industries with stringent requirementsa for 'clean' environments such as: food, beverage, medical, pharmaceutical etc. 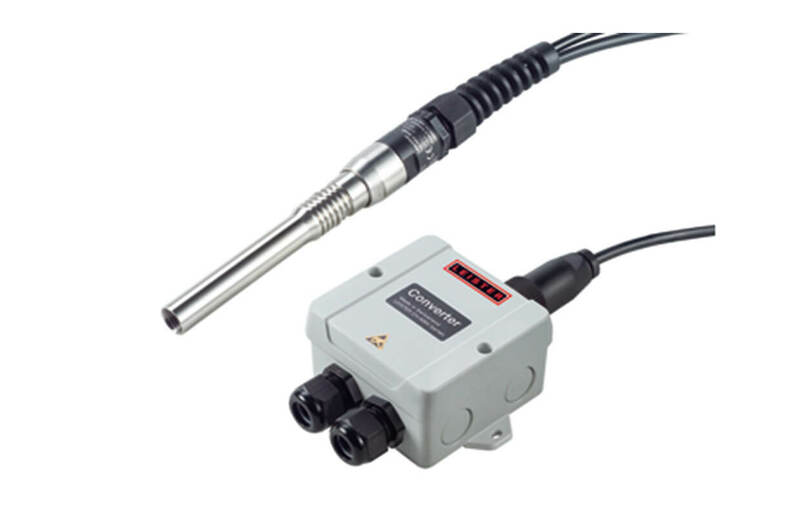 The worlds smallest air heater with an integrated temperature probe. Simple to incorporate into the tightest of spaces. 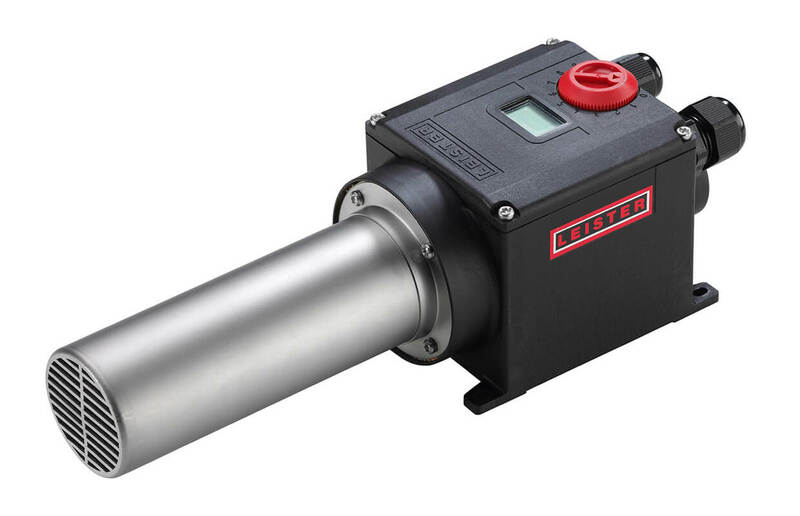 LE MINI operates with compressed air at 200kPa. Model versions are available with or without an integrated sensor.